What made you decide that it was time to update your book and what specifically have you added or changed for the revised edition? Jane Buckingham: Every time I learn something new I think "I wish I could put that in Modern Girl!" And after 10 years there were a LOT of things I wanted to include! I hadn't covered anything on Tech! From sexting to taking a good selfie, or even how to deal with your boss by text. I added a lot about organic foods -- what's worth buying and what's not, to recipes for vegans and new easy recipes for fans who were tired of the old ones. Then Of course I added a lot on new beauty tips, fashion tips, working online fashion sites and sales, because even though "googling" is habit now, it's still important to do research on what's "good information". I don't think there was a single chapter that didn't get a pretty big overhaul. The only thing that I forgot to change was the introduction, explaining WHY and what I changed! Oops! Who is the woman that you have written this book for and how has she evolved since you first published it? 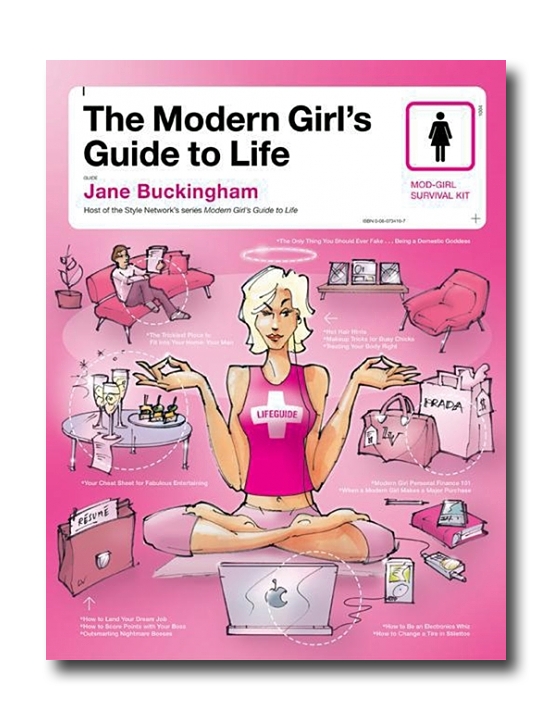 JB: I would say this is a book for any woman who just needs a little help from her friends. She's trying to live the best life she can and though she may be trying to do it all, she knows that she can't do it all perfectly! Though I think the book is really relevant for women of any age, I think it probably is most helpful for women in their 20's and 30's who are starting their first homes, careers and families. And I think that this new generation is probably a little more together, a little more confident, a little more empowered and definitely has better hair (thanks to all the DryBars out there ;) But I think that even given all that, she still wants the tips and tricks that can help make her life a little easier, and the understanding that not everybody gets it right every time. At the end of the day we all need a shoulder to lean on! Channel your inner Sandy from Grease as model Lindsay Ellingson did in 2013. Pair L’eggs Energy Black Opaque Footless Tights with a black top. A black biker jacket completes the look. Miranda Kerr’s 2011 ringmaster costume is easily recreated with a leotard, top hat and L’eggs Sheer Energy Sheer Tights in black. In 2007, Kate Middleton dressed as a witch for Halloween. Get her look with a little black dress and a black cape. Black L’eggs Energy Tights and black boots make this costume weather appropriate for a cold Halloween night. Who says scary can’t be beautiful? 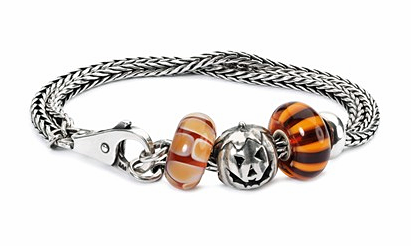 This elegant sterling silver bracelet has a pumpkin bead flanked by a brown fusion bead and a brown stripe bead. It’s just the right accessory to complement any Halloween costume.